2011 live release from the acclaimed band. . Counting Crows' debut album August And Everything After was released in late 1993 and went on to sell over seven million copies in America. On September 18, 2007, the band performed the complete album live at Town Hall in New York City.The lineup for this stellar evening captured on August And Everything After: Live At Town Hall was: Jim Bogios (drums, vocals, percussion); David Bryson (electric and acoustic guitars, vocals); Adam Duritz (vocals); Charles Gillingham (piano, hammond B-3 organ, accordian, harmonica, vocals); David Immergluck (electric and acoustic guitars, mandolin, pedal steel, vocals), Millard Powers (bass, vocals, piano); Dan Vickrey (electric and acoustic guitars, banjo, vocals). 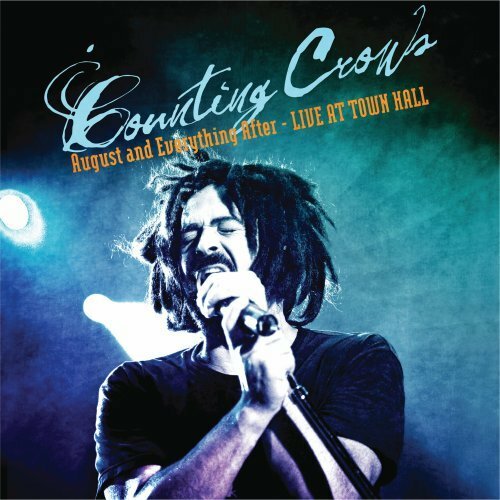 This live showcase of their complete debut album proves what truly great performing artists Counting Crows are.